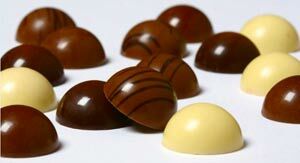 Have you remembered Mothers Day? This Sunday, 14 March 2010, is Mothering Sunday here in the UK, and if you’re looking for a last minute gluten free present to send through the post, here’s a suggestion: Letter Box Chocolate. Letter Box Chocolate will send a box of 16 gluten free Belgian chocolates in a letterbox-sized package with a personal message from you. 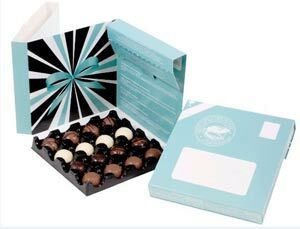 The idea is that you order online: choose a design for the box, write a personal message, and the Letter Box team put the design, message and chocolates together and post it for you. Now this seems like a good idea to me: nice and simple, a good range of box designs, the chance to personalise the message – and everyone likes chocolate. Plus: they’re gluten free, and since the box fits through the letter box, there’ll be no need to make a trip to the Post Office to collect a parcel. The gift costs £8.99, with standard postage in the UK being an extra £1.00, but those of you who don’t live in the UK haven’t been forgotten – the postage will be more, and the delivery times longer, obviously, but you can still send chocolates… even if it isn’t Mothers Day where you live! Have you come across Graze yet?